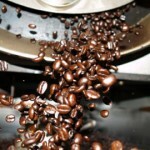 Roasting coffee beans doesn’t just impart bold, rich flavor. It also creates a compound that helps dial down production of stomach acid, according to research of the American Chemical Society. The discovery may explain why dark-roasted brews are gentler on the stomach than their lighter peers, and could lead to a new generation of tummy-friendly coffees. Even though several studies have found a cup-a-day habit imparts health benefits such as decreased risk of obesity, Alzheimer’s and colon cancer, many coffee lovers drink decaf or forgo the beverage altogether because it irritates the stomach or spurs heartburn. Previous work suggested that coffee made from steam-treated beans tamps down this gastric distress, a finding attributed to lower levels of caffeine and other compounds in these brews. To explore the science behind these gentler brews, the researchers used water and three other solvents to extract compounds from regular commercial coffee blends. Each solvent extracted a different profile of compounds, including caffeine and N-methylpyridinium, a ringed compound that doesn’t appear in green coffee beans but is created in the roasting process. Stomach cells exposed to each suite of compounds upped their acid secretion, except for the cells exposed to the extract containing NMP. The team then compared the chemical profiles of a dark-roasted and light-roasted brew made with regular roasted and steam-treated beans. Both versions of the dark-roasted coffee had more than 30 milligrams per liter of NMP, as compared with the lighter roast, which had 22 mg/l. 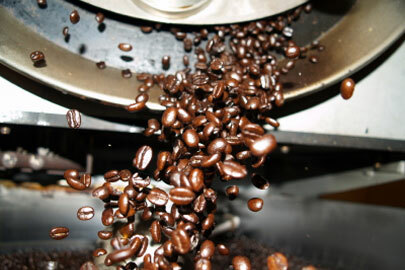 The light roast that was subjected to steam treatment, a technique thought to weaken coffee’s stomach-provoking powers, had a mere 5 mg/l of NMP. Follow-up work confirmed the molecule’s mild-mannered nature. Human stomach cells treated with coffee that had medium or high concentrations of NMP secreted far less acid than cells treated with coffee containing the least amount of NMP, Somoza reported. And the activity of many of the genes and proteins involved in this gastric secretion were quashed in cells exposed to NMP-rich coffee. How NMP acts on the gastric system isn’t well understood. Acid secretion didn’t change noticeably in stomach cells treated with NMP alone. And caffeine’s name hasn’t been cleared — the friendlier darker brews also had less caffeine than their lighter-brewed counterparts.